People love coconut and cook with it every day. 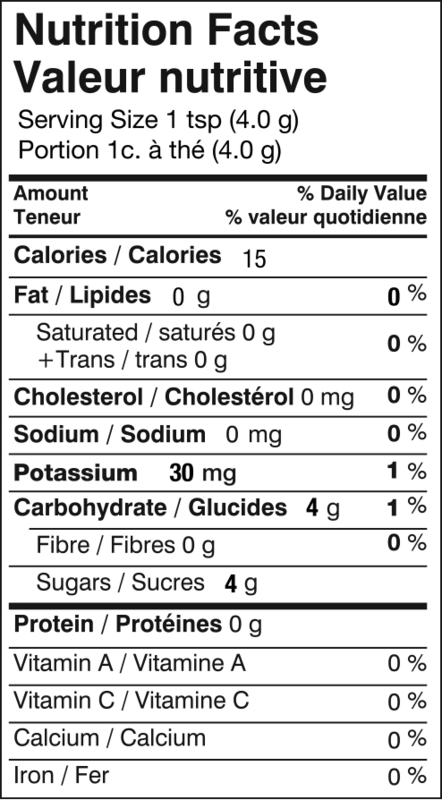 Coconut is a nutritious superfood packed with fibre, protein, minerals and vitamins. Grace brings you a full lineup of organic and natural coconut products. WHERE TO BUY GRACE ORGANIC, click here for a retailer near you. 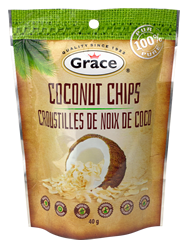 Made from the meat of mature coconuts using a traditional process to preserve their natural goodness, Grace All Natural Coconut Chips are both versatile and delicious! The coconut meat is gently sliced and roasted under low temperature until it turns into crispy chips. Health benefits: The super food is high in lauric acid, low in sugar and contains zero cholesterol. 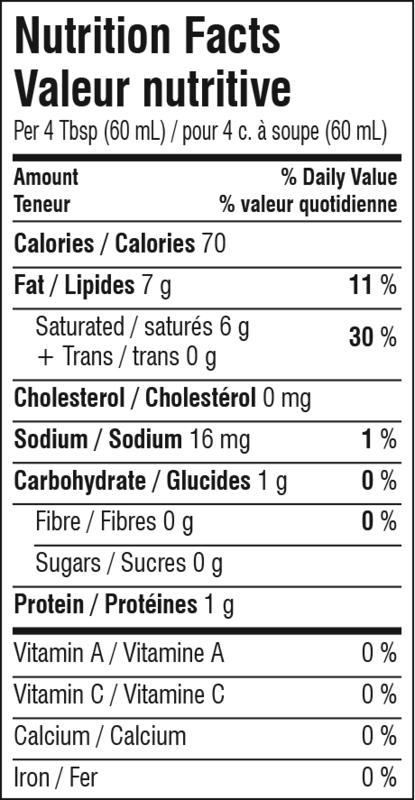 Uses: excellent on their own as a healthy snack or sprinkled on top of yogurt, ice cream and desserts. 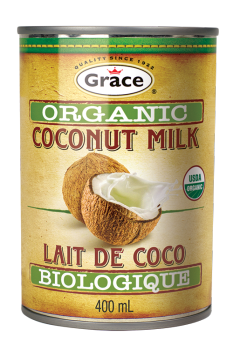 Grace Organic Coconut Milk is a sweet, non-dairy milky white cooking base extracted by breaking down the white kernel of mature coconuts until the coconut milk runs out. It is a popular choice for vegans and is a key ingredient in many Caribbean foods. Health benefits: It is naturally lactose free so can be used as a milk substitute by those with lactose intolerance. 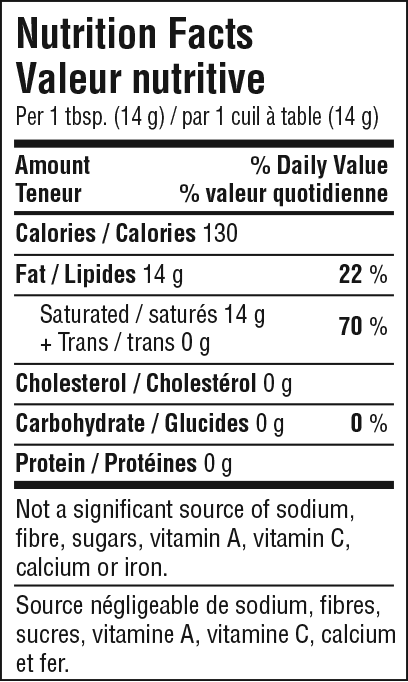 Also offers all the benefits of the healthy fat found in Coconut Oil. Uses: Makes a great base for smoothies, a dairy alternative in baking, rice, curry, desserts, soups and sauces. Purified Water, Organic Coconut Meat Extract, Organic Guar Gum (Stabilizers), Citric Acid. Grace Organic Virgin Coconut Oil is cold pressed from fresh coconut kernel without the use of Hexane in order to retain its natural goodness. 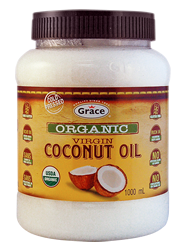 For centuries, coconut oil has been the primary source of healthy fat in the tropics. It turns from a semi-solid state to liquid oil at 18 degrees Celsius. Health benefits: not refined, bleached or deodorized to maintain all the natural nutrients. 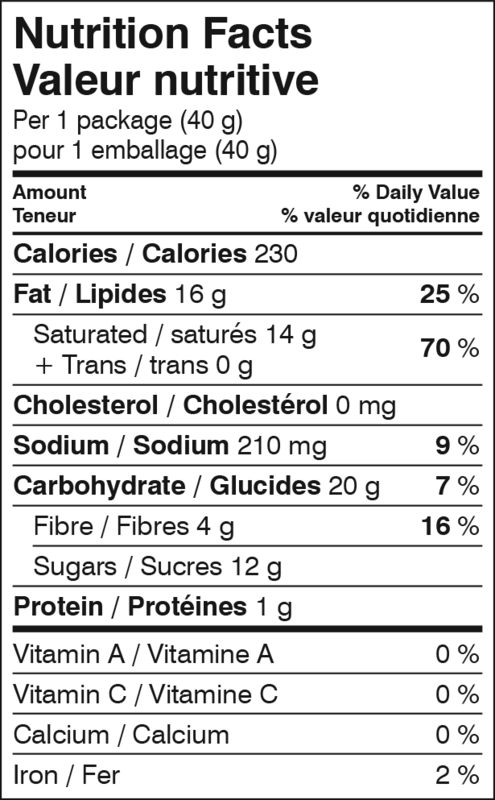 Contains medium chain fatty acids that are heart healthy. Uses: versatile for cooking, baking, natural skin lotion or even as a hair conditioner. A rich, unrefined natural sugar with a slight butterscotch and caramel taste. It is made from 100% nutrient-rich sap from coconut flower buds which is boiled until it turns into a granular form. 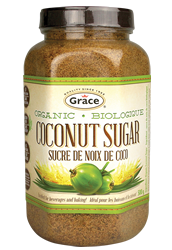 Health benefits: Grace Coconut Sugar is a low calorie sweetener that contains inulin, which slows the rate of absorption into the bloodstream and gives coconut sugar a lower Glycemic Index than regular table sugar, thereby limiting glucose fluctuations and blood sugar spikes often associated with other sugars. Uses: 1:1 substitute for brown sugar, or use as a delicious sweetener in hot drinks. Grace Organic Coconut Vinegar is created by the fermentation of 100% pure coconut water. 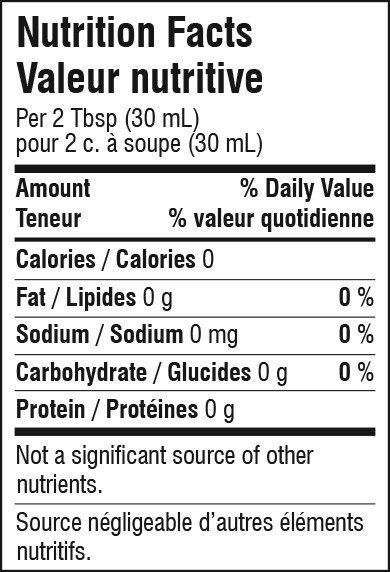 It is 100% natural and does not contain any of the harmful substances that commercial vinegars may contain. Coconut vinegar can be used in salad dressings or wherever other vinegars and lemon juice have been used. It can also be used as a marinade to add flavour and tenderize meats. Kosher, gluten free, lactose free and vegan.